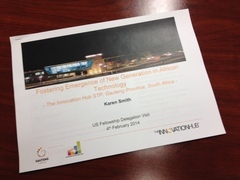 On day two, the MSAT Fellowship group was welcomed to the Innovation Hub in Pretoria. 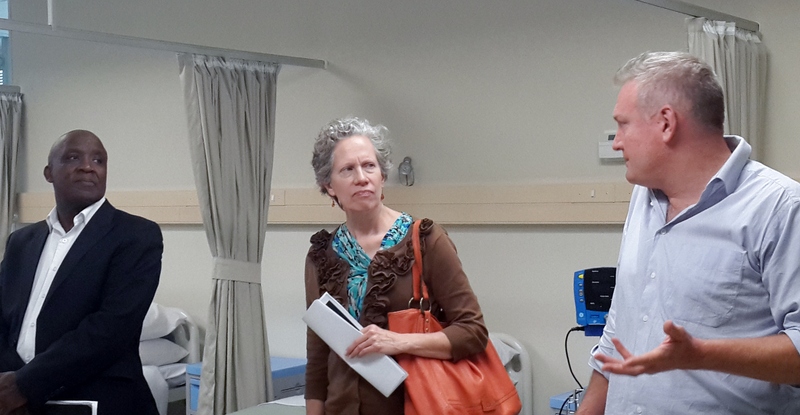 Business Development Manager Karen Smith and Bioscience Specialist Dr. Chamunorwa Togo led a presentation about the Innovation Hub then opened it to discussion and talk of collaboration. 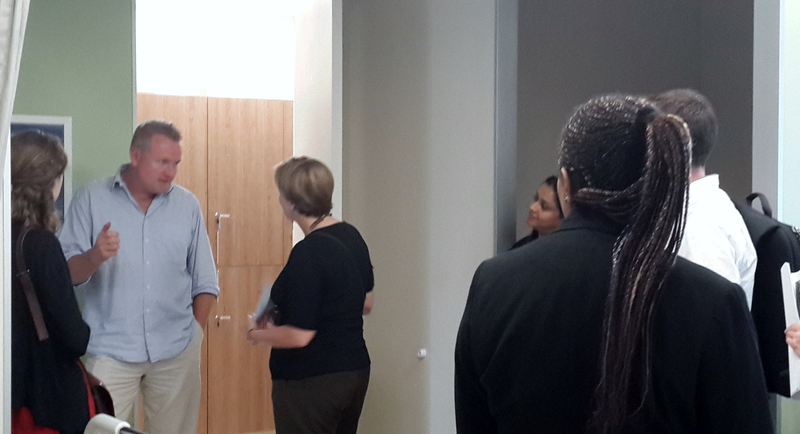 The tour of the Innovation Hub included meetings with three of their client companies. The first was with VX Pharma, a start-up company offering lab testing and clinical trial services. The second meeting was with Altis Biologics. CEO Nicolaas Duneas explained their business of bone regeneration using BMP complex purification technology. 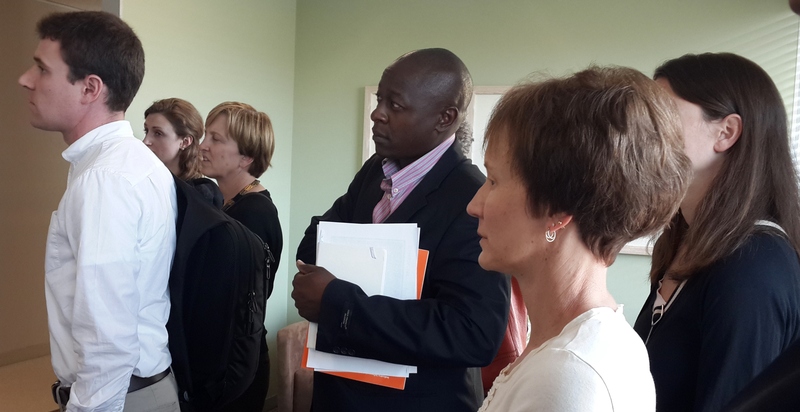 The third meeting was with Kenny Masobe, CEO of Egolibio. They are a development agent for the commercialization of bioscience products. On day three, the MSAT will disband and fellows will report to their respective work sites.